So who cares that the plumbing and electricity in the athletes' village took several days to fix? But no "Pokemon Go"? That's an outrage! If there were ever a more "First World problem" for the Zika-plagued, water-polluted Rio de Janeiro Olympics, it's Brazil's lack of access to the hit mobile game. It has united players the world over. Since debuting to wild adulation in the U.S., Australia and New Zealand this month, the game from Google spinoff Niantic Inc. has spread like wildfire, launching in more than 30 countries or territories. But it's not in Brazil. British canoer Joe Clarke tweeted, with a broken-hearted sad face, a screenshot of his player on a deserted map near the rugby, equestrian and modern pentathlon venues in Rio's Deodoro neighborhood. The map was devoid of PokeStops - fictional supply caches linked to real-world landmarks. No Pokemon monsters to catch either: There was nary a Starmie nor a Clefairy to be found. In response to "What's troubling athletes in Rio? No "Pokémon Go,"" I disagree with this article that states that the popular "Pokémon Go" game is important to have at the Olympics in Rio. One reason I disagree is that the athletes need to take the time to enjoy Rio and this special moment in their life, instead of playing a video game that they can play everyday at home. Another reason is that, according to Canadian field hockey player Matthew Sarmento, who is quoted in this article, not having "Pokémon Go" "would give him more time to meet other athletes." A third reason why it's not important to have "Pokémon Go" at the Olympics in Rio is because without it, the athletes will have more time to practice and rest. 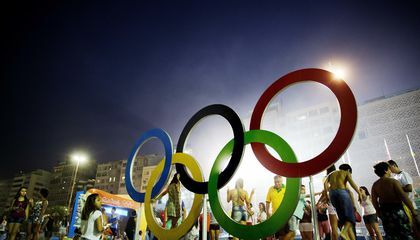 Even though I love playing "Pokémon Go," I think that there is so much more experiences to gain in Rio at the Olympics than a silly little game. In response to "What's troubling athletes in Rio? No "Pokémon Go,"" I disagree that not having Pokémon Go at the Olympics is bad. One reason I disagree is that people paid to see the Olympics so they should see the Olympics not play games. Another reason is that all the free time gives athletes more time to get to know each other and train. It says in the article ""I wish I could run around in the (athletes') village catching Pokemon," New Zealand soccer player Anna Green said. "I just can't get it on the phone. It's fine, but it would have been something fun to do." What will she do instead? "Train," she replied." A third reason is that it's good to take a break from your phone once in a while. Even though most people love Pokémon Go, I think that it is ok to take a break from it. In response to "What's troubling athletes in Rio?" I disagree with having "Pokemon Go" in Rio Olympics because they can ilenjoy there doing the Olympics. One reason I disagree with having "Pokemon Go"in Rio Olympics is because these athletes are going to end up getting lazy. It says in the article "Anna Green would like to run around in the (athletes)village catching Pokemon but she can't use her phone. She says its fine she will train instead. Even though I think Pokemon Go shouldn't be in the Rio Olympics it's probably going to be in the Olympics. In response to "What's troubling athletes in Rio" I disagree that the hit app ''Pokemon Go'' is rather more important than the Rio olympics.One reason I disagree is that you can play Pokemon go any other day unlike the olympics which is once every four years. Another reason is that not everyone is going to be playing Pokemon go they could be playing another game. It says in the article that Matthew Sarmeto,said it will give him more time with his fellow athletes. A third reason is that other athletes would be training.Even though Pokemon go is fun and all, I think athletes should train way more than play the silly game Pokemon Go. In my opinion, people shouldn't be going to Rio De Janerio to play Pokémon go, they should be going to Rio for the 2016 summer Olympics. Citizens in Brazil are wasting their time waiting for an app to come in store when their own country is hosting the 2016 Olympics! I think Niantic hasn't released Pokémon go in Brazil because the Olympics were going on and I think Niantic want the people watching the Olympics. In the text is says that "Niantic did not respond to the request for comment when the game might be released in Brazil." This evidence supports my opinion because this tells me that maybe Niantic wants the people of Brazil to watch the Olympics. I enjoy Pokémon Go but I disagree with the fact that they didn't want to go to Brazil just because of the not having Poke Stops. I believe they just would want to be the games and have fun. They were getting upset over a game. Now I'm not saying I wouldn't be disappointed if I were them. But they should have moved on with it. This article is a prime example of how technology is taking over our lives and how do things. I believe it should have been a breath of fresh air to them and not effected them in such a way of anger. The answer to the Critical Thinking Question is that the reason Niantic hasn't released "Pokemon Go" in Brazil is because of no poke stops or Pokemon just a deserted land. Also with the Olympics going on if Niantic did release the game nobody could play it also it wouldn't be any fun with nothing to do in the game there in Brazil. Even though it hasn't been released in Brazil and there is nothing in the game at Brazil people still want it. 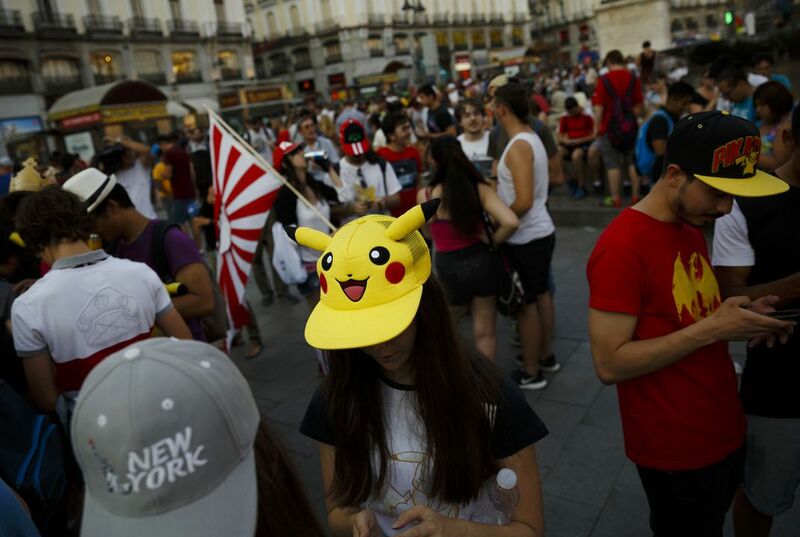 So "Pokemon Go" is not released because nothing is in the game even though people are waiting to see a pikachu at the Olympics. Niantic hasn't released Pokémon Go in Brazil because there isn't a reason to have Pokémon Go out if the Olympics are going on. "Niantic didn't reply to a request for comment on when the game might be released in Brazil." Proof that Niantic isn't planning on releasing the game during the Olympics. They haven't released it because Brazil has a lack of access to mobile games. I think that they don't need Pokemon go because they the Olympics coming up and the athletes get ready for that. Also they have other games. In response to "What's troubling athletes in Rio? No "Pokemon Go"", I agree that it is a bummer that you couldn't play Pokemon Go in Rio. One reason I agree is that the game was not available in Rio even if someone wanted to play it because Niantic hadn't released it there. Another reason is that it could have been a good way to relax and for the athletes to relieve some stress from the competition. According to Anna Green, a soccer player from New Zealand, "it would have been something fun to do." A third reason is because it would have been a good way for athletes to meet connect and meet other people. With so many people in Brazil from other countries that like to play Pokemon Go, the Pokestops would have attracted many people and been a great way to explore the Olympic Village and the country. Even though Pokemon Go was not available in Brazil, I think it would've been distracting the players from there training and what there acually there for, which is to play for thier country.